Today marks the 100th birthday of peerless guitar innovator and icon, Les Paul. 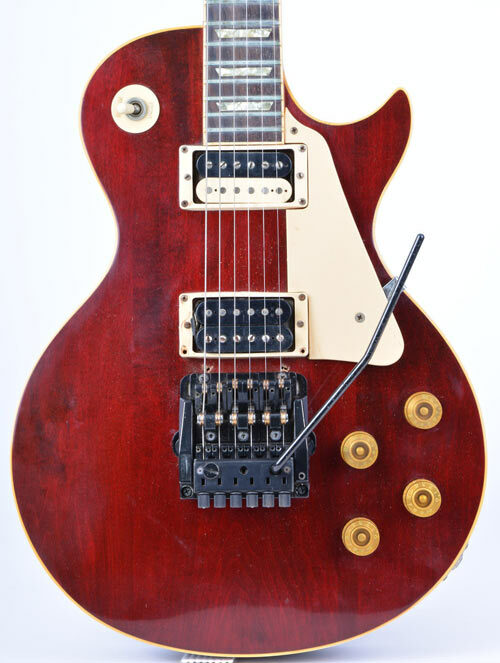 While the innovations Les developed in his lifetime helped define the entire concept of the electric guitar, most people think of just one when hearing his name: a certain single cutaway, dual humbucker, carved-top-on-mahogany body model made by Gibson. No guitar carries a cult of personality quite like the Les Paul. There have been shelves of books written, miles of forum threads typed, and who knows how many guitar shop debates about the virtues and beauty of the design. Yet for its undeniable ubiquity, the price tag of a shiny new Gibson puts the coveted instrument out of reach for a large portion of the guitar-playing public. With this guide, we'll look at a few strategies and options to consider when looking for a great deal on a Les Paul that suits your style, sound and budget. Most of these tips focus on the used guitar market, since choosing to go used is the best single decision you can make to actually land a bargain on any instrument. You can also see more information on the various models by checking out our complete Les Paul buying guide here. Keeping pace with all the different Les Paul models Gibson has released over the decades is not for the faint of heart. There have been hundreds of variations going back as far as the mid-'50s, when Gibson produced Standard, Custom, Junior and Special versions of the original design. In a given year, Gibson offers dozen of Les Paul options. To complicate matters further, the specs within a single model often change year to year. The name Les Paul Classic has been used on various models over the years, but aficionados point to the Les Paul Classics made in the '90s (and the early '90s in particular) as one of the best bargains Gibson has ever churned out. These are fantastic guitars that pay homage to the 1960 Les Paul Standard with a thinner neck profile and dual humbuckers. Typically, these models go for slightly less than a Les Paul Standard on the used market, fetching somewhere in the $1300 to $1800 ballpark. Like so many great deals, the reputation of these models has come to light more and more, and prices are going up. More recently, Gibson offered the Les Paul Classic Custom, which offers a similar deal but with aesthetics and features more closely aligned with the Les Paul Custom (such as square inlays). While a great buy, the Classic Custom uses a baked maple fingerboard instead of rosewood or ebony as a result of Gibson's ongoing rosewood-sourcing anguish. You might notice that the Classic lacks coverings on the humbuckers, which is odd given that it's modeled after a vintage Les Paul. Keep in mind that if you really crave that all original look, you can always pick up a pair of humbucker pickup covers to fit your Classic. Introduced in 1984, the Les Paul Studio was envisioned as a no-frills version of the Les Paul, shedding such cosmetic flair as binding, trapezoid inlays and flame tops. The idea is that if you're in a studio, you just need the structural basics of the maple-on-mahogany body and humbucker pickups to achieve the Les Paul sound. These guitars have always been priced on a lower tier than any Standard or Custom Les Paul but still deliver the same sound and feel as the higher-end options. If you keep an eye out, you can usually find a used Studio for around the $700 mark. Of course, not all Studios are created equal. You'll often see Les Paul Studios listed as either "gloss" or "satin" which indicates the grade of finish used on the guitar. 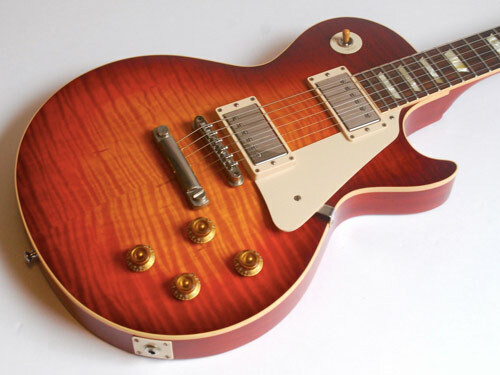 Until it was discontinued earlier this year, the Faded Studio (which used a satin finish) typically fell as the cheapest Les Paul in Gibson's catalog (excluding Juniors). It can still be found for around $500 used. 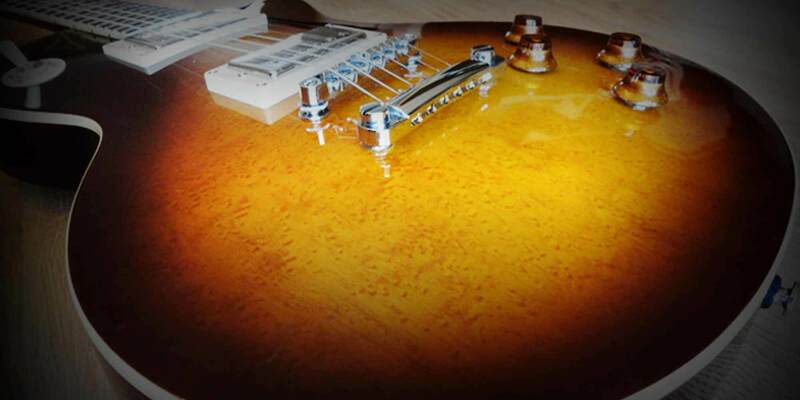 However, many players dismiss the look of the faded satin finish, while others claim that it actually diminishes the sound quality of the guitar. This is the subject of some debate, but it is clear that the satin or faded finish is a more cost-effective process, which accounts for the lower price. If you're really into flame tops, Plus versions of the Studio do exist but are a bit harder to find in the wild. There are plenty of other variations on the Les Paul Studio concept, with a slew of limited edition finishes and signature models. I, for one, am a fan of the Les Paul Studio Raw Power which was produced a few years back with an uncommon Fender-esque maple neck and fingerboard. While not nearly as common as the longstanding Studio series, Gibson's Tribute models (introduced in 2010) represent another fantastic value in the LP family. This is one of those situations where Gibson HQ changed the specs and details of the model a few times during its short run, so there are many variations out there to uncover. Most of these guitars use an aged satin or "worn" finish like the Faded Studios mentioned above. Where these differ from the Studios is in the use of more vintage-style appointments like trapezoid inlays and classic color options. The '50s Tributes have a thicker '50s style neck, while the '60s Tributes have a slimmer profile. 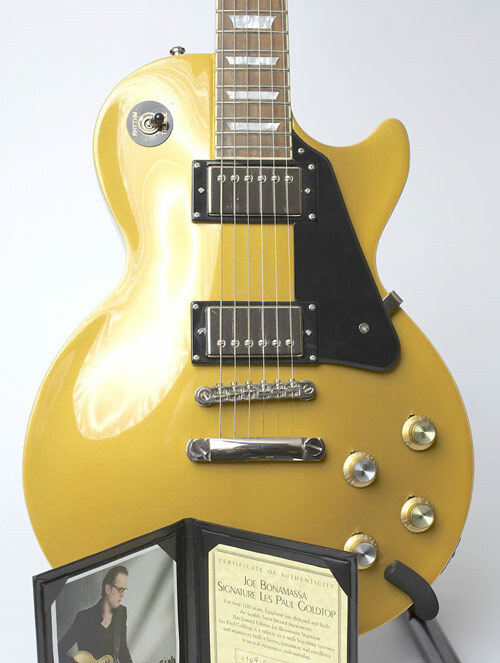 While P-90 pickups are more common, both Tributes have been made with stock humbuckers as well. There's also a '70s Tribute out there with mini-humbuckers if you're into that sort of thing. What If I Just Want a Standard? As the name implies, the Standard is the Les Paul that all others are measured against. If you want a Gibson with the classic features of a Les Paul, this is what you should be after. On Reverb we typically see used Les Paul Standards sell in the $1500 to $2000 range for a normal top, with flamed top models going for upwards of $2400. You'll see these with words like plus, premium, and AAA in the title, indicating different levels of figuring in the top. To land a good deal on a Standard, I recommend setting up some saved searches on your Reverb Feed to keep track of any Standard under the $1600 mark. When one gets posted, it'll pop up in your feed and you can be the first to catch the deal before someone else snags it. You may also consider doing the same for the Les Paul Traditional, which is essentially another take on the Standard minus any weight relief in the body. Check out this article on Reverb search tools for some more info on how to set up saved searches and more. If you want to be a true radical, you could also consider a double cutaway Les Paul Standard. These guitars are almost identical to your everyday single-cuts and often show up with highly flamed tops. The lack of demand, however, means that used prices on a DC Les Paul Standard typically fall a few hundred bucks shy of your singlecut Standard. The Les Paul Special and Les Paul Junior, both of which were introduced in the mid-'50s, are something of a different beast than the Les Paul Standard-based guitars we've explored so far. The Specials and Juniors of the world lack carved tops and typically use P-90 pickups instead of humbuckers. Since their introduction, these models have always served as affordable alternatives to the Standard. They’re a great choice if you just want the Les Paul look and feel in a slimmed down package that lets you lock in and rock out. Like the Standard, however, there have been many different Specials and Junior produced over the years, including many with satin finishes. 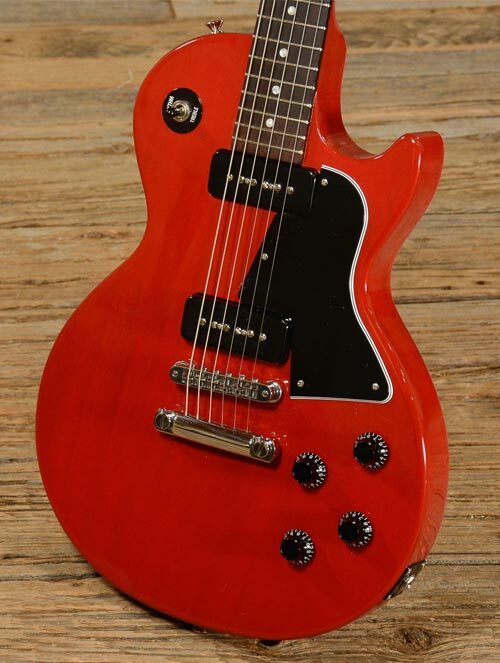 The 2015 Les Paul Junior is the cheapest option for a Gibson Les Paul if you're looking at new models, but if you go back a few years, you'll find several solid variations (including the confusingly named Les Paul Junior Special). 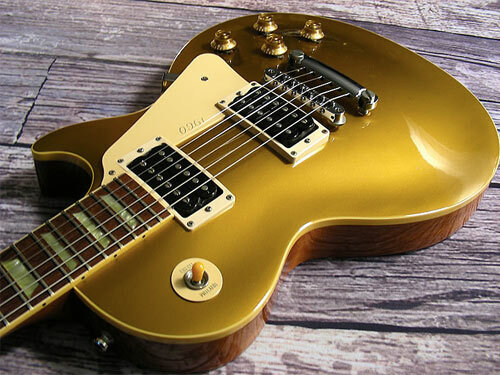 In the late '90s, Gibson produced a humbucker-loaded model called the Les Paul Special SL which is considered an excellent value on the forum community, but these are somewhat few and far between on the used market. Have You Considered Vintage Options? Believe it or not, depending on your buying priorities, you may be able to land a vintage Les Paul for a better price than many equivalent contemporary options. Now, you won't be able to get anything from '50s, and Gibson only produced a small number of Les Pauls in the '60s. That pretty much leaves you with models from the '70s. As any collector will tell you, the '70s are normally known as the low point of quality for American guitar manufacturing. For this reason, attainable vintage Les Pauls can be something of a crap shoot, but that doesn't mean there aren't deals to be found. 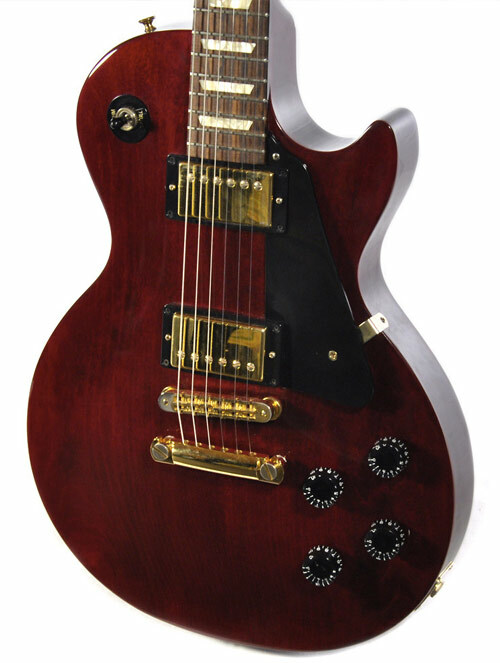 Many of the Les Pauls from the '70s are Les Paul Deluxes with two mini-humbucker pickups. It wasn't until mid-way through the decade that Gibson reintroduced the Standard as a regular catalog option, though the Les Paul Custom was produced through the whole era. Regardless of which style Les Paul you like best, the best way to find a deal on a vintage Gibson is to seek one with imperfections. Search for things like "refin,” "refinish," "repo" or "replacement" in conjunction with other search terms to find what would be considered a player-grade Les Paul. Updates and changes to a vintage guitar (like new tuners or pickups) can drastically reduce the resale value. Ironically, these very changes will often make it a better sounding and playing instrument. If you're not a collector and not after that illusive "all original" specimen, seeking a player-grade Gibson may be your ticket to a truly stellar deal. If you're seriously looking for a deal on a Gibson, the many sumptuous offerings from the Gibson Custom Shop in Memphis are probably not first on your list of things to consider. Custom Shop reissues typically fetch well over $3,000. For many collectors, however, this is a reasonable price to pay for a close replica of a legitimate late-'50s Les Paul that could cost over $150,000. If you are looking to save when buying a historic Gibson, avoid looking at anything with an artist's name or the words "anniversary" or "collector's choice" or "Murphy Aged" in the title. These are all signifiers of limited editions where price tags are increased by the Gibson collector market. 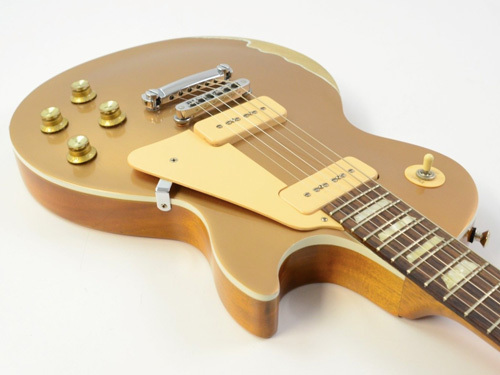 Of the many Les Paul reissues, the '57 Goldtop models normally go for less than the '58-'60 models as they don't require any amount of flaming in the maple cap. Beyond that, you can always look for a CS Reissue of a Special or Junior, though these are less common. Should I Consider An Epiphone? Short answer: Yes. There's no lack of fantastic options from Gibson's entry-level counterpart, and stalwarts like the Epiphone Les Paul Standard (as well as the Standard Pro and Plus) remain some of the most popular guitars in the world. This popularity has translated into a plentiful and affordable used market with Standards often selling on Reverb right around the $250-$300 mark. For something a little more exciting, many players point to the limited edition '56 Les Paul Reissue as one of the best values ever offered in any Les Paul from Epiphone or Gibson. Similar accolades are sung for the Joe Bonamassa Signature, though those are already starting to go up in priced for a used one. If you want something stocked with a ton of modern features like onboard recording options, keep an eye out for one of the Epiphone Les Paul Ultras. If you're not particular about the name on the headstock, there are a ton of amazing Les Paul-esque options you can consider when perusing the new, used and boutique guitar market. There are '70s Lawsuit-era guitars with such names as Greco and Electra, as well as modern masterworks from the likes of Collings and Tom Anderson. For a closer look at some of these options, take a look at our picks on 10 awesome LP alternatives. When it comes to 24 ¾" scale, singlecut goodness, "Les" isn’t the only name in the game. Here’s a look a some singlecut solidbodies that are worth wrapping your paws around. Sifting through the endless torrent of Les Paul options is admittedly a bigger undertaking than can really be covered in one blog post. These are just some basic suggestions, though I'm more than confident that some Gibson gurus can add to the list in the comments below. This would also be a great place to post a picture of whatever Les Paul you end up snagging. Happy hunting.